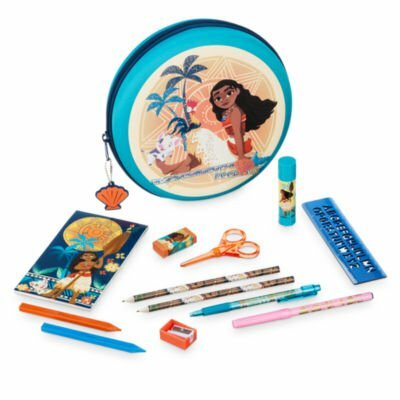 Budding way finders can plan their next big adventure with this cool Moana stationery set! 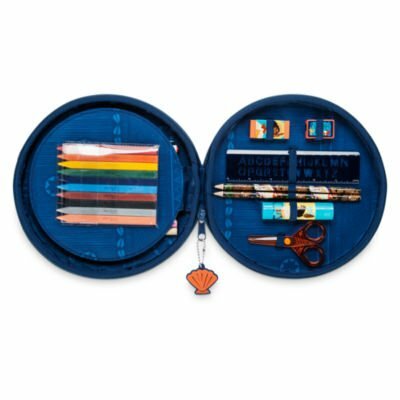 Presented in a handy zip-up case, the 30-piece set is filled to the brim with pens, pencils, crayons and more! Set includes: 10 markers, 10 crayons, 2 HB pencils, 1 pen.A note pad, glue stick, scissors, stencil ruler, sharpener and rubber. 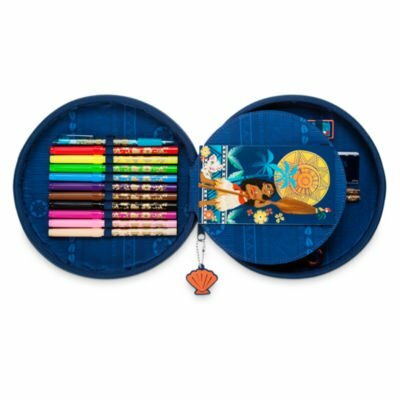 Individual pieces feature cute wraparound character artwork.Presented in a hard-shell case.Bold Moana artwork with glitter detail. Zip-around fastening with a rubber shell charm.Dia.21 x D5cm approx. Suitable for children aged 4 years+.Warning: not suitable under 36 months due to small parts.